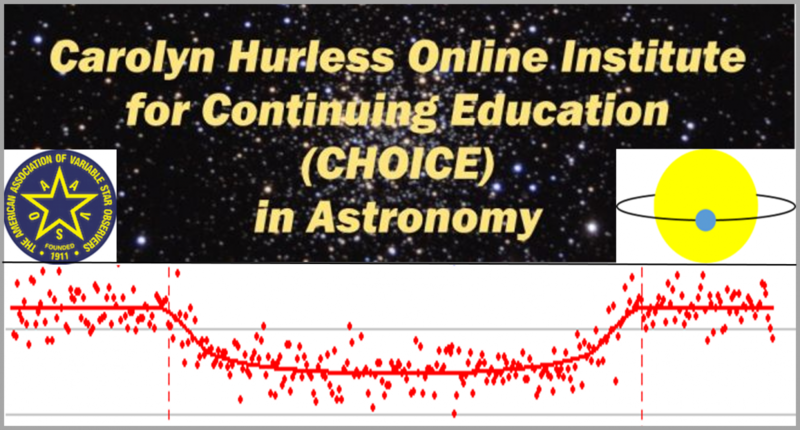 This course reviews the techniques and best practices associated with exoplanet observing using small telescopes. It is designed for those who are interested in conducting their own exoplanet observing. The course will focus on use of the transit method for conducting such observations. In addition, the fundamentals of high precision photometry will be covered because of its importance in conducting accurate exoplanet observations. The course also contains a step-by-step walkthrough of how to use AstroImageJ (AIJ) for analyzing exoplanet observations. AIJ is quickly becoming the de facto standard for exoplanet observation analysis by professionals and amateur astronomers alike. the future of exoplanet observing. We hope you will find the course a good introduction to hands-on, exoplanet observing.